An amazing sequence of technological development, such as digital photography, laser scanning, video projection, QTVR and 3D, has come about in the last ten years, and we believe that all of these innovations have immediate applications to archaeology. Recent improvements in computer and laser technologies allowed scientists to preserve ancient treasures (e.g. archaeological sites, artifacts, fossils, clay tablets) by creating their virtual copies. These 3-D digital copies offer highly accurate, and often enhanced, representation of the physical objects and structures. Recent improvements in laser rangefinder technology, together with algorithms developed for combining multiple range and color images, allow us to reliably and accurately digitize the external shape and surface characteristics of many physical objects. Examples include cultural artifacts, machine parts, and design models for the manufacturing, moviemaking, and video game industries. Modern technologies in 3D scanning allow us also to reconstruct 3D digital representations of real objects in a semi-automatic way, with high precision and wealth of details. The motivations behind this project are to advance the technology of 3D scanning, to place this technology in the service of the humanities, and to create a long-term digital archive of some important cultural artifacts. 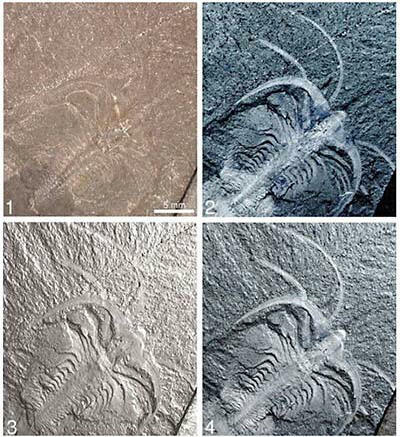 The article describes how fossils can be photographed with a new digital technique, enhancing contrast in order to bring out subtle details. Fifty pictures are taken with light coming from different angles, and a computer calculates how the intensity of each point in a combined image depends on light angle. From this information, an image can be re-created with different lighting and optical surface properties, such as increased shininess. In addition, the technique allows electronic publication of images where light and surface properties can be manipulated by the reader. This can be very useful because different features are often enhanced under different lighting conditions. The following article contains copyright material. 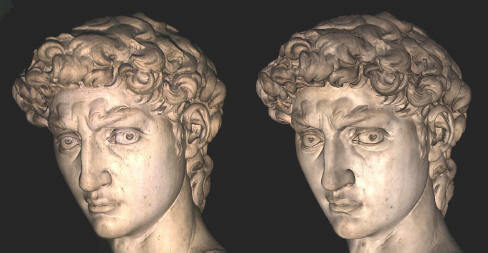 Text and images courtesy of Digital Michelangelo Project, Stanford University. Reprinted with permission of the project director Marc Levoy. Modern technologies in 3D scanning allow us to reconstruct 3D digital representations of real objects in a semi-automatic way, with high precision and wealth of details. Our goal was to produce a set of 3D computer models and to make these models available to scholars worldwide. 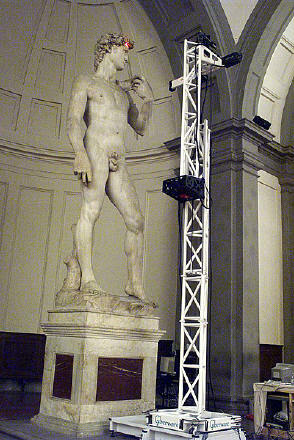 An accurate digital model of Michelangelo’s David has been created during the Digital Michelangelo project (1999-2000), coordinated by Professor Marc Levoy from Stanford University. This model has been made using a custom Cyberware laser scanner and post processing software developed by the Stanford’s Computer Graphics Lab. Acquisition and reconstruction required a long time because of dimensions/com- plexity of the modelling and also due to the pioneering status of the technology. of these data, but we think that the use of 3D models should go beyond the simple possibility to create synthetic images. 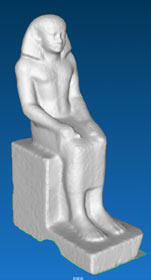 An important application of 3D models should be in the restoration of artworks. 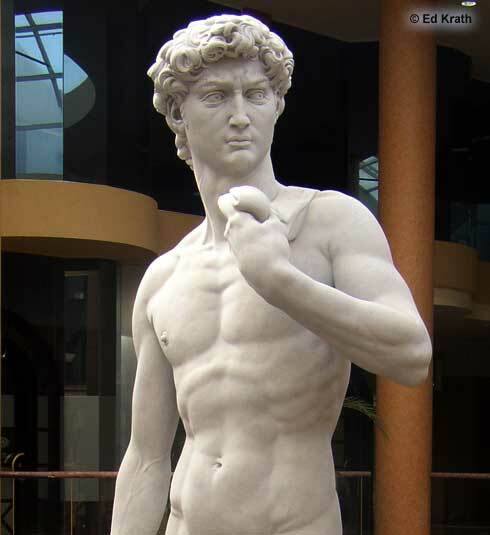 The integration between 3D graphic and restoration represents an open research field and the David restoration project has given several starting points and guidelines to the definition and development of innovative solutions. Our activity is based on problems and specific requests suggested by restorers and briefly described as follows. as a supporting media for the archival and integration of multimedia data, produced by the different scientific studies planned during the David restoration. Recent improvements in laser rangefinder technology, together with algorithms developed at Stanford for combining multiple range and color images, allow us to reliably and accurately digitize the external shape and surface characteristics of many physical objects. Examples include machine parts, cultural artifacts, and design models for the manufacturing, moviemaking, and video game industries. The Cyberware gantry can be reconfigured to scan objects of any height from 2 feet to 24 feet. In this photograph the gantry is at maximum height. The 2' truss section roughly level with David's foot was added at the last minute after we discovered, much to our horror, that the statue was taller than we thought. The scanner head is also reconfigurable. It can be mount atop or below the horizontal arm, and it can be turned to face in any direction. 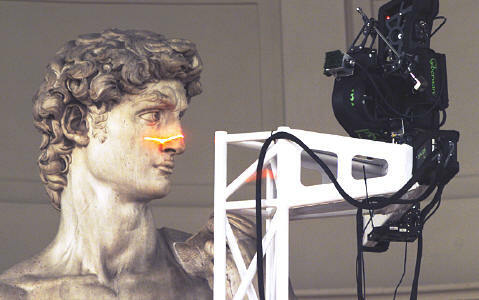 To facilitate scanning horizontal crevices like David's lips, the scanner head can also be rolled 90 degrees, changing the laser line from horizontal (shown here) to vertical. These reconfigurations are performed while standing on a scaffolding. On the left is a photograph of Michelangelo's David. On the right is a computer rendering made from a geometric model. Constructed in December, 1999 at a resolution of 1.0 mm, the model is watertight and contains 4 million polygons. An aligned and vripped model of David's left eye at the full resolution of our dataset, 0.29mm. (right image). 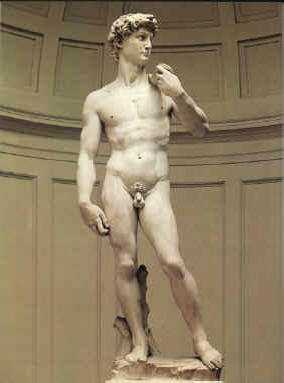 At this scale, we believe we are capturing everything Michelangelo did with his chisel. At left is a color photograph for comparison. The viewpoints are similar but not identical. These models, images, and photographs [of Michelangelo's statues that appear on the Digital Michelangelo Project's web pages] are the property of the Digital Michelangelo Project and the Soprintendenza ai beni artistici e storici per le province di Firenze, Pistoia, e Prato. They may not be copied, downloaded and stored, forwarded, or reproduced in any form, including electronic forms such as email or the web, by any persons, regardless of purpose, without express written permission from the project director Marc Levoy. Any commerical use also requires written permission from the Soprintendenza. The Forma Urbis Romae, also known as the Severan Marble Plan, is a giant marble map of ancient Rome. Measuring 60 feet wide by 45 feet high and dating to the reign of Septimius Severus (circa 200 A.D.), it is probably the single most important document on ancient Roman topography. Unfortunately, the map lies in fragments - 1,186 of them, and not all the fragments still exist. Piecing this jigsaw puzzle together has been one of the great unsolved problems of classical archaeology. The fragments of the Forma Urbis present many clues to the would-be puzzle solver: the pattern of surface incisions, the 2D (and 3D) shapes of the border surfaces, the thickness and physical characteristics of the fragments, the direction of marble veining, matches to excavations in the modern city, and so on. Unfortunately, finding new fits among the fragments is difficult because they are large, heavy, and numerous. We believe that the best hope for piecing the map together lies in using computer shape matching algorithms to search for matches among the fractured side surfaces of the fragments. In order to test this idea, we need 3D geometric models of every fragment of the map. To obtain this data, during June of 1999 a team of faculty and students from Stanford University spent a month in Rome digitizing the shape and surface appearance of every known fragment of the map using laser scanners and digital color cameras. Our raw data consists of 8 billion polygons and 6 thousand color images, occupying 40 gigabytes. The goals of the Digital Forma Urbis Romae Project are threefold: to assemble our raw range and color data into a set of 3D (polygon mesh) models and high-resolution (mosaiced) photographs - one for each of the 1,186 fragments of the map, to develop new shape matching algorithms that are suitable for finding fits between 3D models whose surfaces are defined by polygon meshes, and to use these algorithms to try solving the puzzle of the Forma Urbis Romae. Whether or not we succeed in solving the puzzle, one of the tangible results of this project will be a web-accessible relational database giving descriptions and bibliographic information about each fragment and including links to our 3D models and photographs. A sample database, containing 28 selected fragments, is currently online; click on the link at the bottom of this page to view it. Our long-term plan is to make the entire database (1,186 fragments) freely available to the archeological (and computer graphics) research communities, educators, museum curators, and the general public. This project is sponsored by the National Science Foundation under the name Solving the Puzzle of the Forma Urbis Romae. Some of the early work was funded under an NSF Digital Libraries Initiative pilot grant called Creating Digital Archives of 3D Artworks. Other early funding came from Stanford University, Interval Research Corporation, the Paul G. Allen Foundation for the Arts, the Mellon Foundation, the City of Rome, and Pierluigi Zappacosta. The text, models, images, and photographs in the above article may not be copied, downloaded and stored, forwarded, or reproduced in any form, including electronic forms such as email or the web, by any persons, regardless of purpose, without express written permission from the project director Marc Levoy. Polynomial Texture Mapping (PTM) - a new method for increasing the photorealism of texture maps. Tom Malzbender, an HP Labs researcher has invented a tool that lets scholars see ancient texts in ways never before possible. Malzbender's technology for capturing and viewing images of three-dimensional objects can make characters that were previously invisible or undecipherable clear enough to read. As a result, scholars can derive more accurate meanings from the text — and potentially obtain a better understanding of the past. This QuickTime VR demo* is merely a coarse approximation of the actual image-based relighting technology. Drag the mouse to change the lighting on the object. Although this demo shows an abrupt transition between the various lighting directions, image-based relighting technology is a smooth, continuous-tone process. Wait for the status bar below to reach 100% before beginning. Once the movie is completely loaded, click anywhere to move the light source. You may also drag the mouse around and the light source will follow. The Shift key allows you to zoom in, the Control key zooms out. This QuickTime VR is merely a coarse approximation of the actual image-based relighting technology. Drag the mouse to change the lighting on the object. Although this demo shows an abrupt transition between the various lighting directions, image-based relighting technology is a smooth, continuous-tone process. The article describes how fossils can be photographed with a new digital technique, enhancing contrast in order to bring out subtle details. Fifty pictures are taken with light coming from different angles, and a computer calculates how the intensity of each point in a combined image depends on light angle. From this information, an image can be re-created with different lighting and optical surface properties, such as increased shininess. In addition, the technique allows electronic publication of images where light and surface properties can be manipulated by the reader. This can be very useful because different features are often enhanced under different lighting conditions. The technique has been tried on various kinds of fossils. It performs very well for some types of fossil preservation although in some cases traditional photography produces equally good results. The possibility for the reader to change the lighting in electronically published pictures is always a benefit, however. Many fossils cannot be fully illustrated using a setting of physical light sources, and conventional photographic approaches are therefore insufficient. Polynomial texture mapping (PTM), a new technique for imaging surface relief using an ordinary digital camera and multiple light sources, offers an opportunity to resolve these difficulties. In PTM, a series of 50 pictures is taken with the specimen and camera in fixed positions, but with varying directions of incoming light. These pictures are converted digitally into a PTM file, incorporating information about the reflectance of each pixel under different lighting conditions. The number, position, and intensity of virtual light sources can then be manipulated, as can the reflectance properties of the imaged surface. In addition to bringing out low surface relief that may otherwise be difficult to illustrate, PTM also allows electronic transfer, storage, and publication of images, allowing users to manipulate virtual light sources interactively. Herein we test this technique using fossils with different types of preservation, including Cambrian fossils from the Burgess Shale and Chengjiang conservation lagerstätten, Cambrian fossils with 3D relief from dark shales of Norway, Carboniferous plant fossil impressions from England, Cambrian trace fossils in sandstone from Sweden, and Neoproterozoic impression fossils from the Ediacara lagerstätten of south Australia. Whereas not optimal for all types of fossil preservation, PTM enhancement techniques can provide noticeable improvement in the imaging of specimens with low color contrast and low but definite relief. The imaging of specimens with higher relief, although they can be easily photographed with traditional techniques, will still benefit from PTM because of the opportunity of interactive manipulation of light and reflectance. 2.1. One virtual light source normal to shale surface. 2.2. Oblique virtual light source from SE, inverted image. image for comparison with the enhanced versions. almost removed, whereas relief is enhanced. 2.4. Addition (overlaying) of image 2.2 and 2.3. The PTM images can be acquired with a single light source that is manually positioned for each exposure, but it is more practical to use a set of computer-controlled light sources in fixed positions. Insight's developers use a variety of technologies, combined with custom designed computer software, to digitally recreate buildings and objects. Many archaeological sites worldwide are in peril. Recently, for example, the Taliban destroyed the Bamiyan Buddhas, an American film crew damaged Machu Picchu, organized theft in Cambodia hurt Khmer antiquities and Egypt's Aswan Dam led to erosion of buildings and hieroglyphics. There is a race to record and preserve such treasures, and sometimes the recorded data is the only hope for posterity. Political and financial obstacles often prevent restoration. 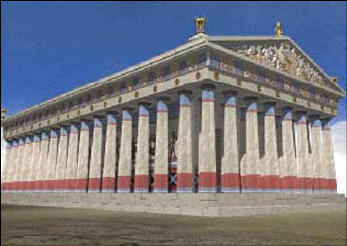 This beginning model of the Parthenon was created by Jeremy Sears, one of the team members for INSIGHT's 1999 Pilot in Egypt. For Bernard Maybeck's Palace of Fine Arts — the current home of San Francisco's Exploratorium — a prototype laser scanner was used to build this 3D model. 3-D data was combined with the Palace's original blueprints to create a short animated sequence that reflects Maybeck's unrealized design ideas for the building. 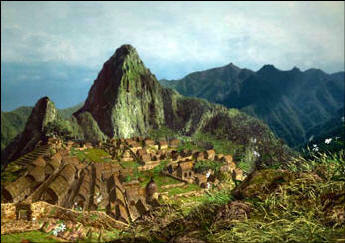 This image, showing the Incan site of Machu Picchu circa 1570, is based on existing archaeological research. 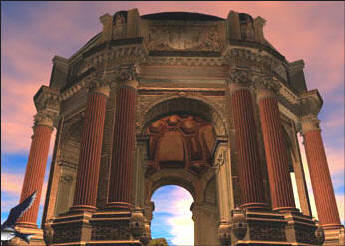 Colors and texturing were drawn from research and photographs of the site. If you're looking for a complete desktop planetarium solution, look no further than Starry Night Pro Plus 5.0. With this powerful software you can see how the sky over your house looks right now, or use it to see how the sky will look tonight, tomorrow or far into the past or future.